KD blames the “toxic” media environment. 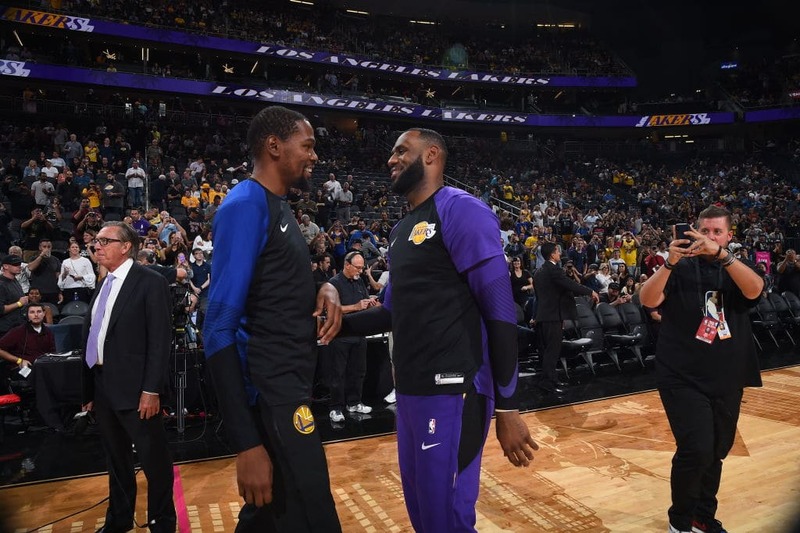 With much speculation regarding KD’s upcoming free agency this offseason, plenty of people in the media have pushed the narrative that Durant will join LeBron in L.A. In light of these new comments, that’s looking unlikely. In an article published by Bleacher Report today, KD criticizes the media for the way they cover anything related to LeBron, and how that affects possible free agent signings. Kevin Durant blames the media for having created a “toxic” environment around LeBron James. KD says that’s one of the factors that might make a fellow superstar free agent think twice about joining forces with King James. Durant goes on to explain how players like Chris Bosh and Kevin Love have had to adapt their game around LeBron, who is much more commanding and ball-dominant. And that’s not to mention all the media attention that comes with playing alongside him. Durant thinks it’s much easier for role players to fit in with LeBron. Durant also noted that the suffocating media attention around James doesn’t help, either.